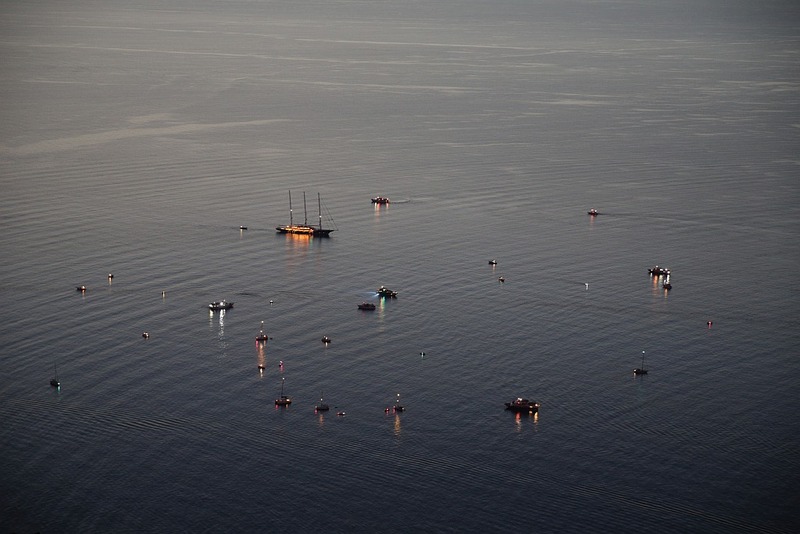 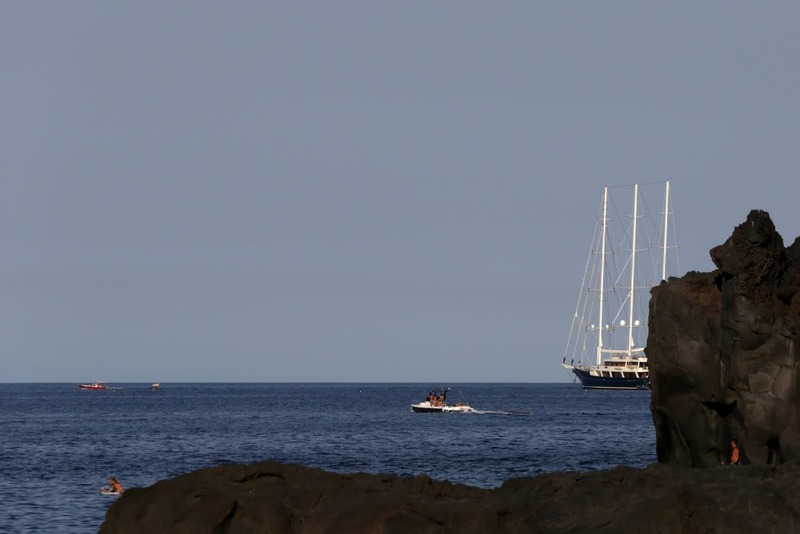 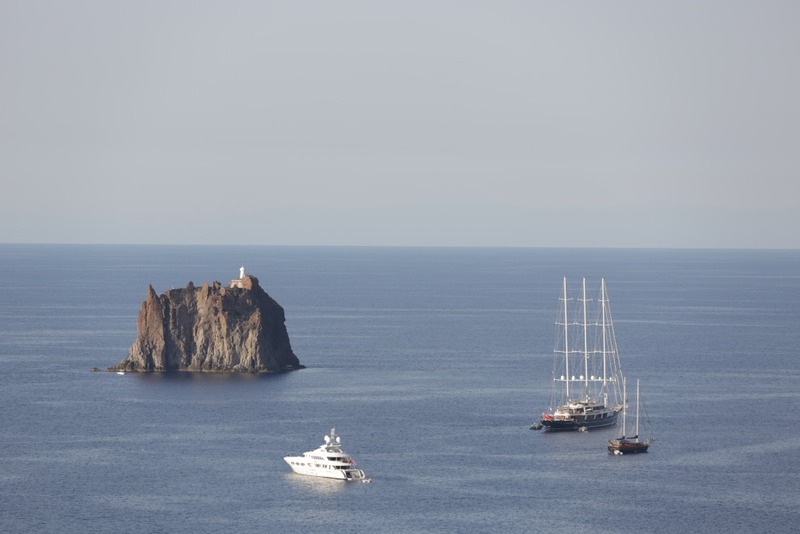 Like a magnet, the lighthouse of antiquity gravitates with its lava flow boaters in its spell. 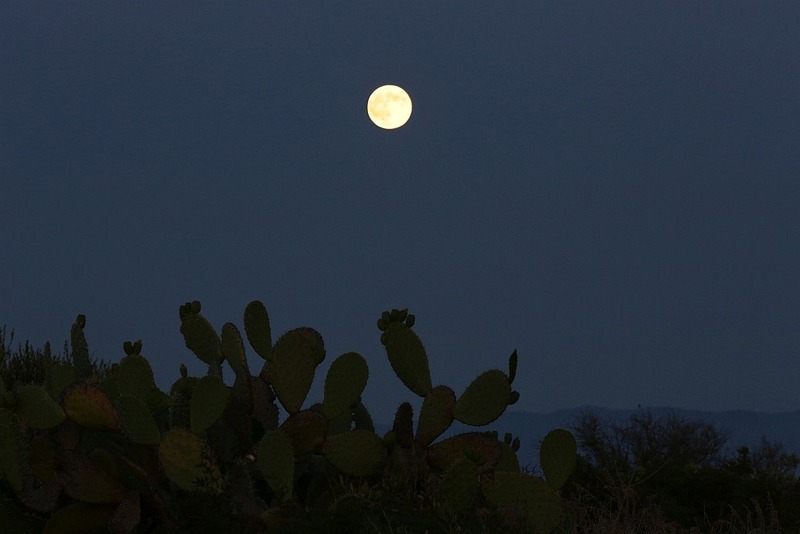 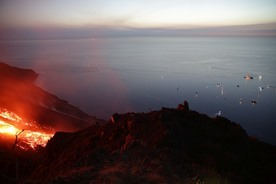 Also, we were unable to divest ourselves to the spectacle of nature. 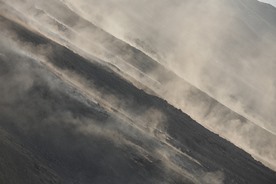 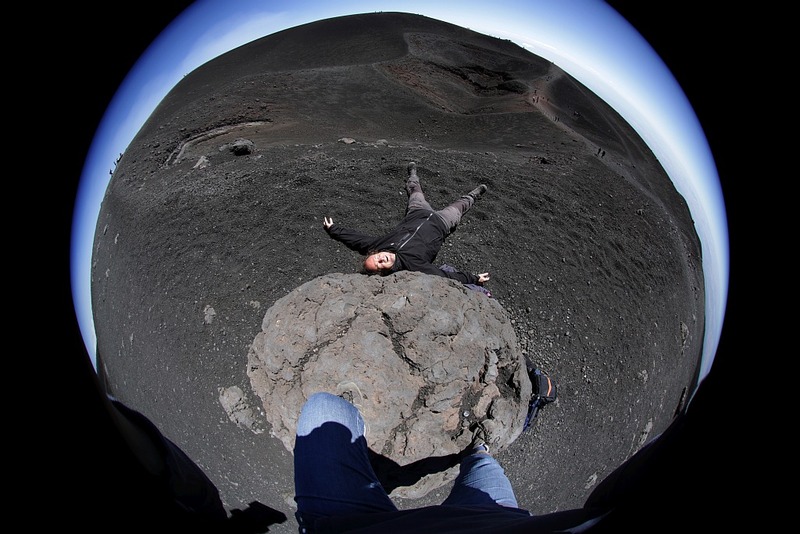 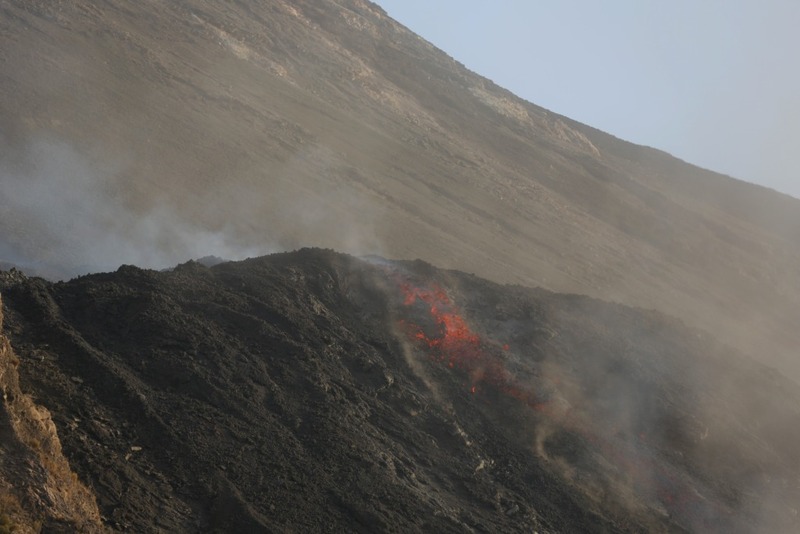 The reason was, that a crater collapse was connected with a powerful material disposal at NO Crater. On Thursday August the 7th at about 2:00 clock in the early morning at aprrx. 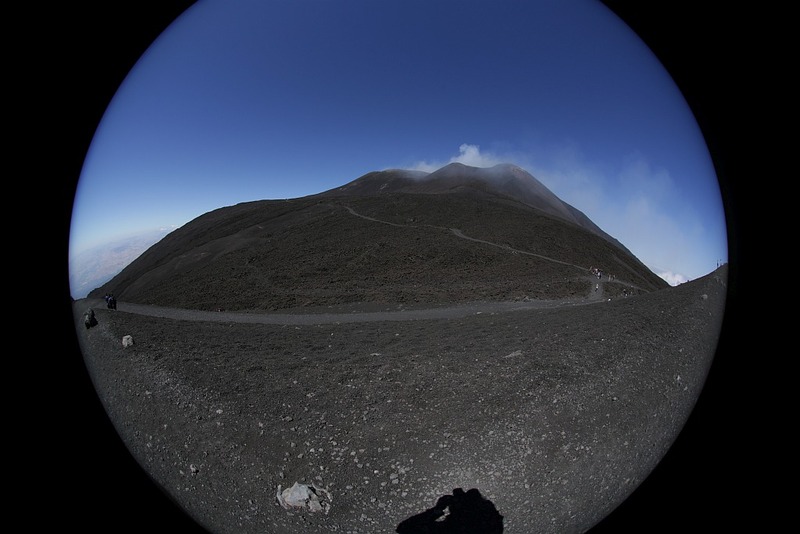 650m just below the NO crater, an effusive lava discharge vehemently proceeded down the Sciara del Fuoco. 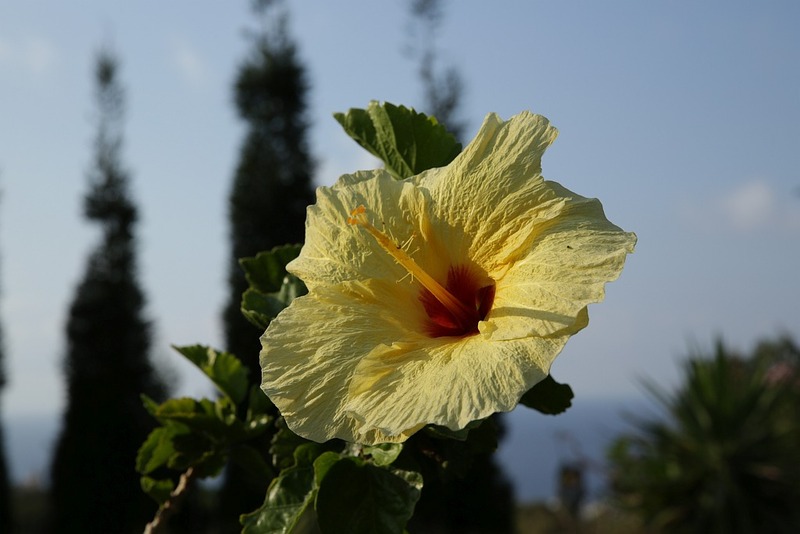 ( Report from locals incl . Smartphone photo documentation). 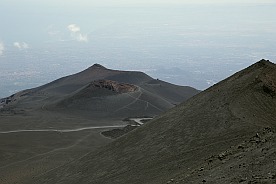 General view of the north-west side with the Sciara del Fuoco. 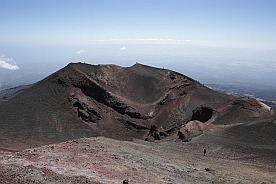 Busch landscape before the shine of the lava flow at about 300m sl. 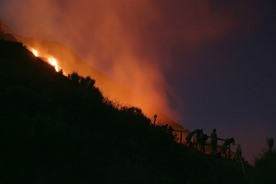 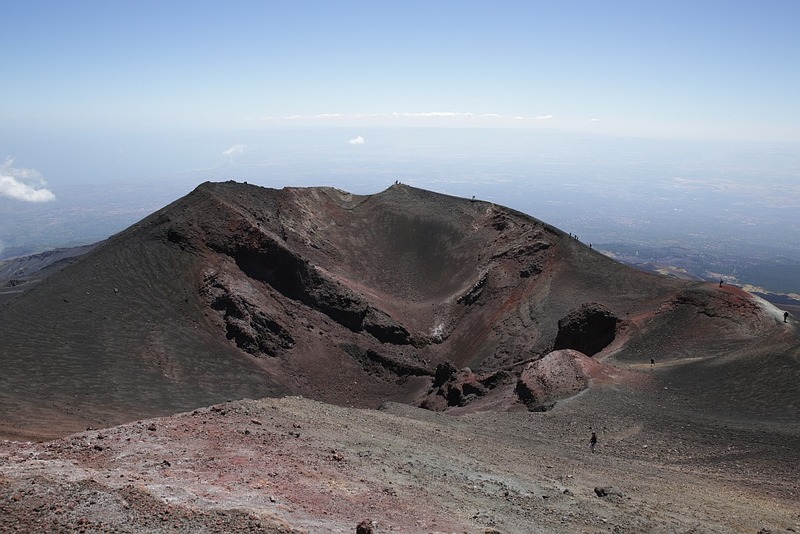 Initially the terrace at about 500-600meter was flooded with lava and at the beginning it was not clear which intensity this volcanic activity had. 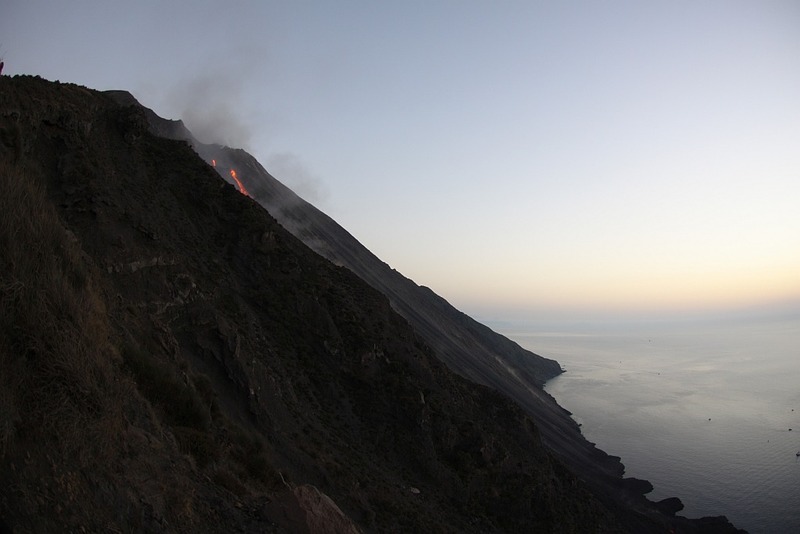 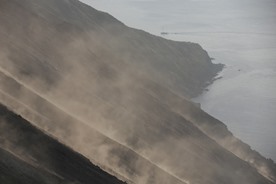 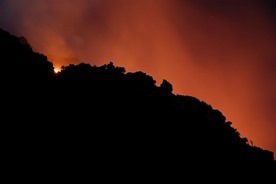 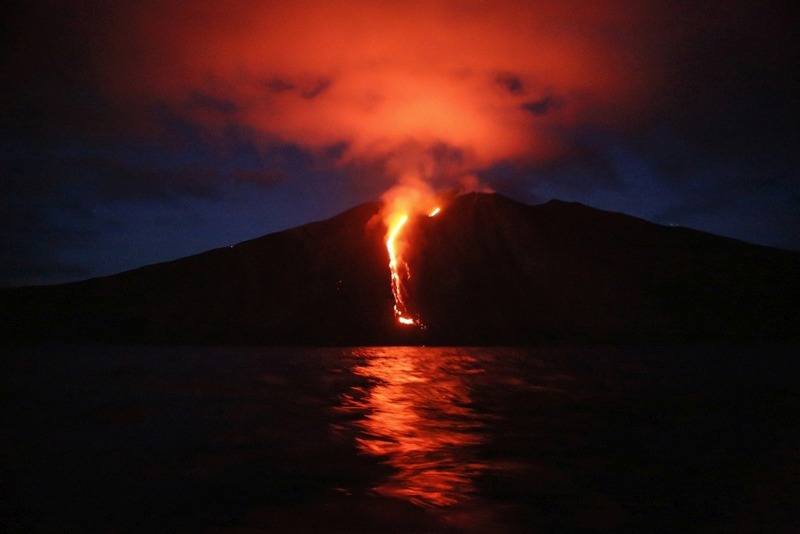 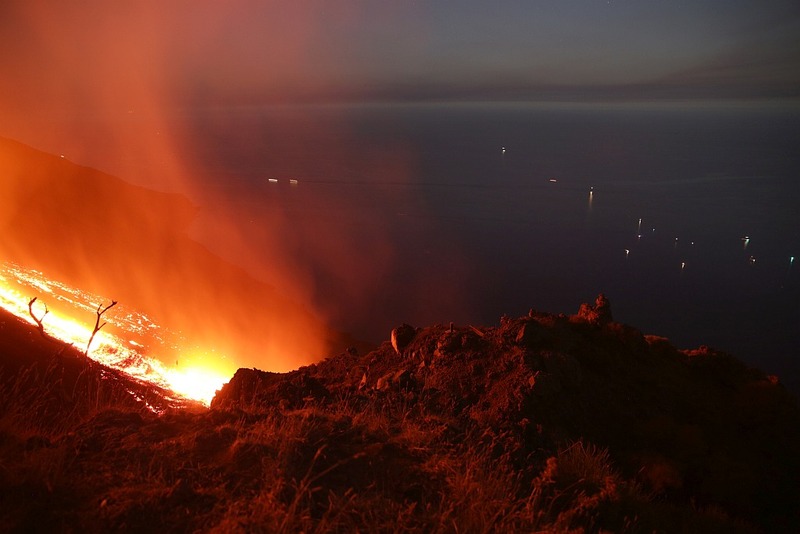 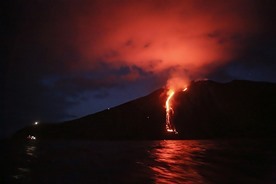 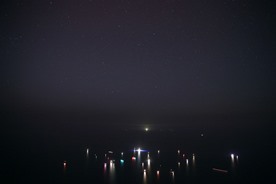 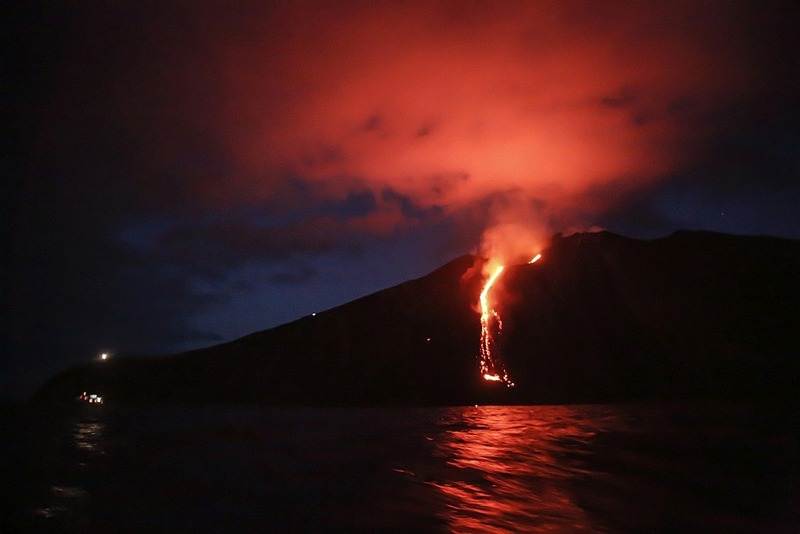 In the following days the whole scene calmed, and the lava channeled itself until to the 10th of August sea entries were observed ( images come soon). 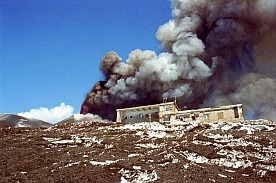 Litoral explosions were the result. 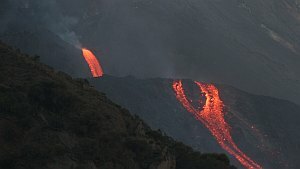 The further days the lava flow constantly changed its course by dividing, damming up at the cooled lava barrieres or stopping almost completely. 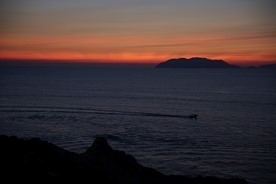 A boat trip around the island made the view of the Sciara possible. 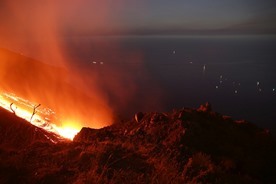 However, we were too late in the evening and additionally on that day we fought in our nutshell even with heavy waves in. 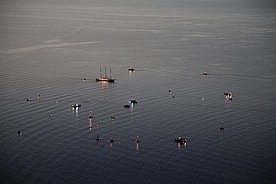 The days before the sea was of course mirror like :-((. 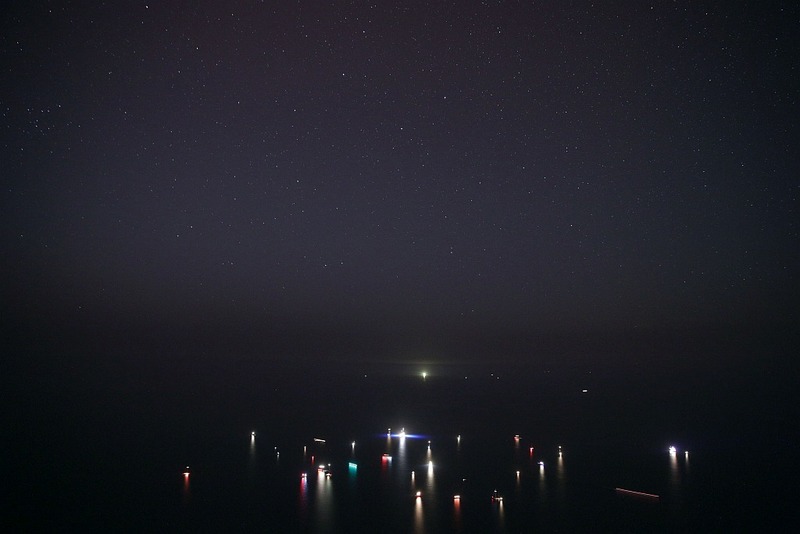 Incidentally, in this dark light, photographing by hand is nearly impossible, so the ASA number to jump significantly upwards. 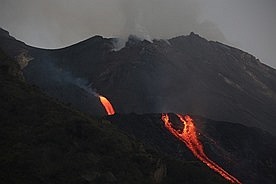 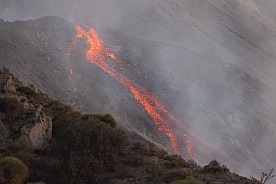 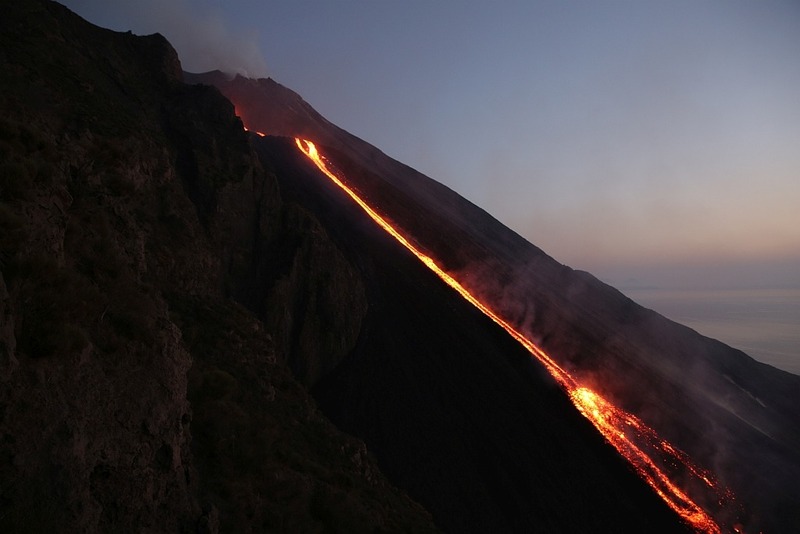 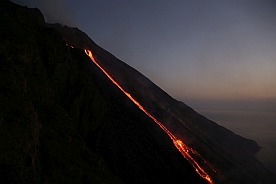 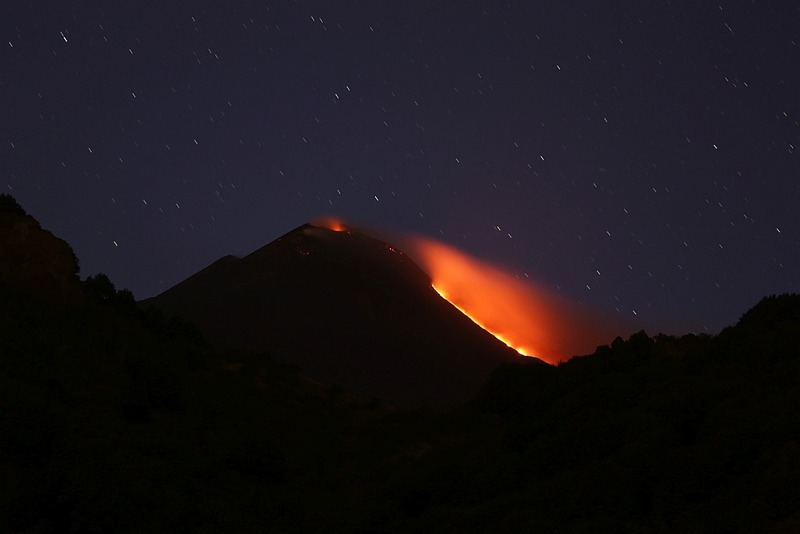 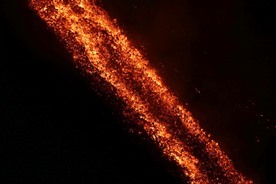 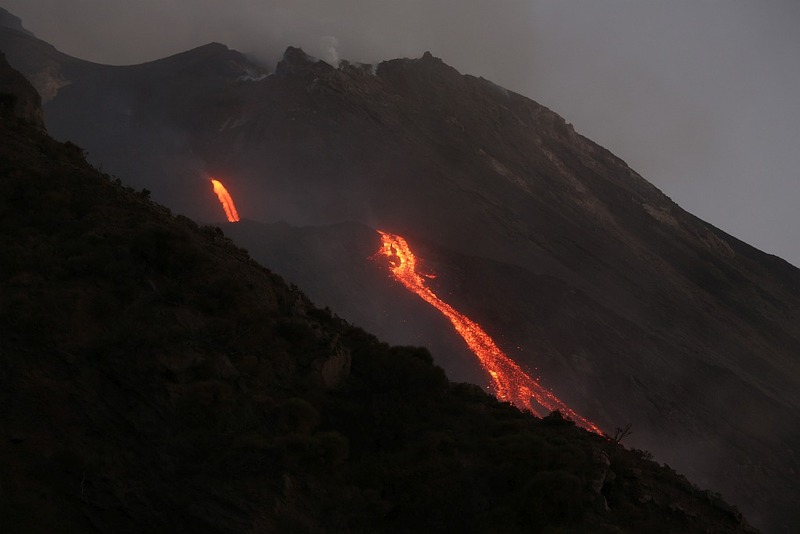 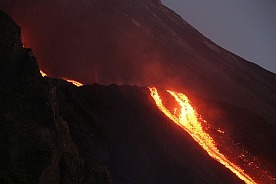 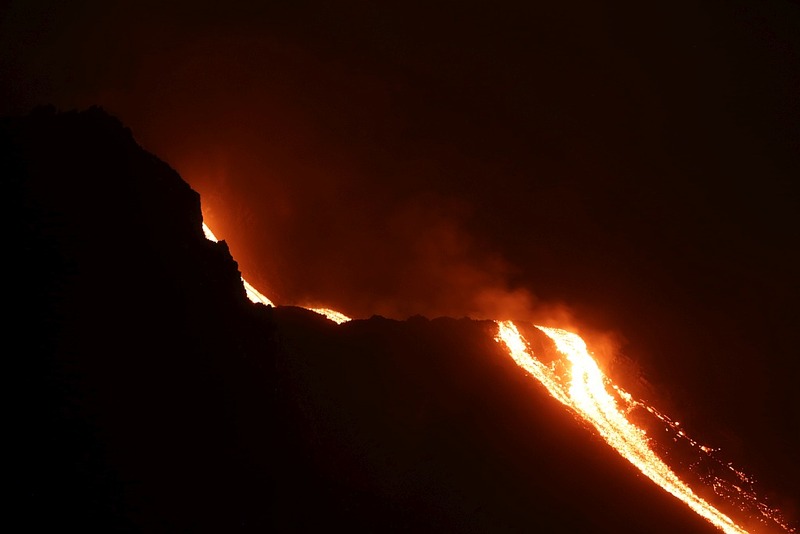 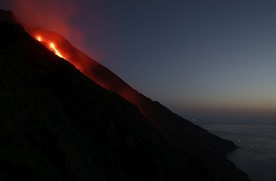 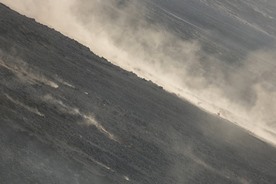 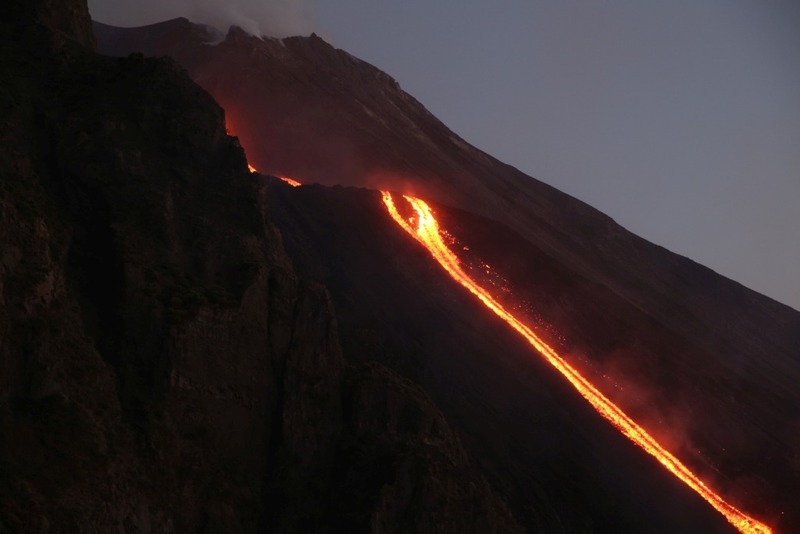 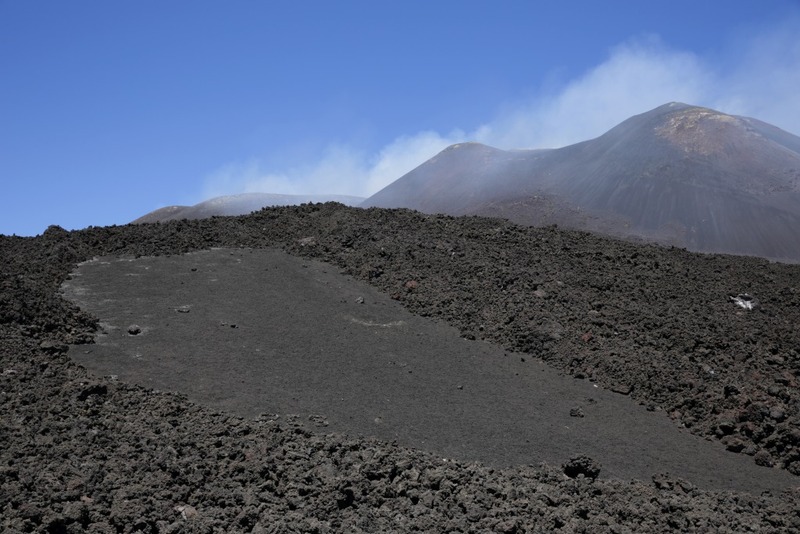 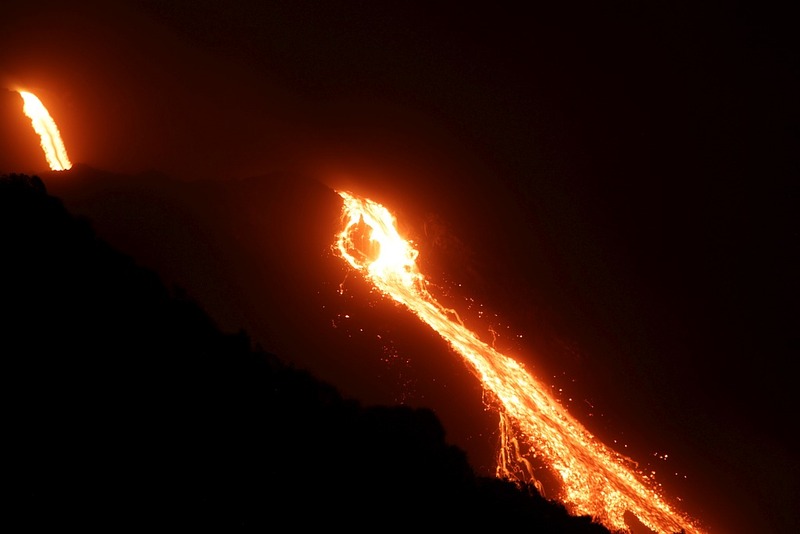 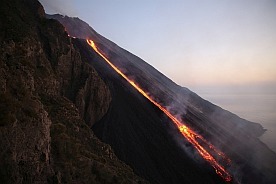 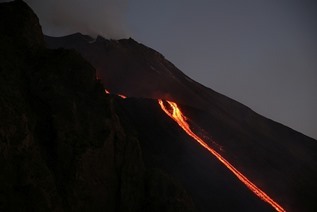 The lava flow ran down the flank of the Sciara del Fuoco as a abstract illuminated line. 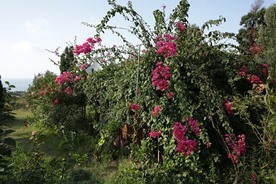 The apprx. 40m broad tongue of lava at about 50m height osl. However, this behavior is not uncommon at Stromboli. 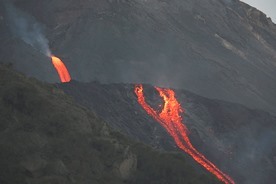 The principle is similar to a plug which was pulled on 650m and thus the magma level increases over a natural course. 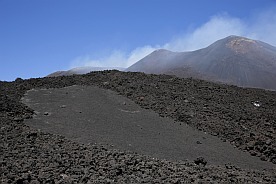 Whether a lava sea had formed below the exit point at 650m at the plateau we could not see because the area and the road was sealed off upwards. 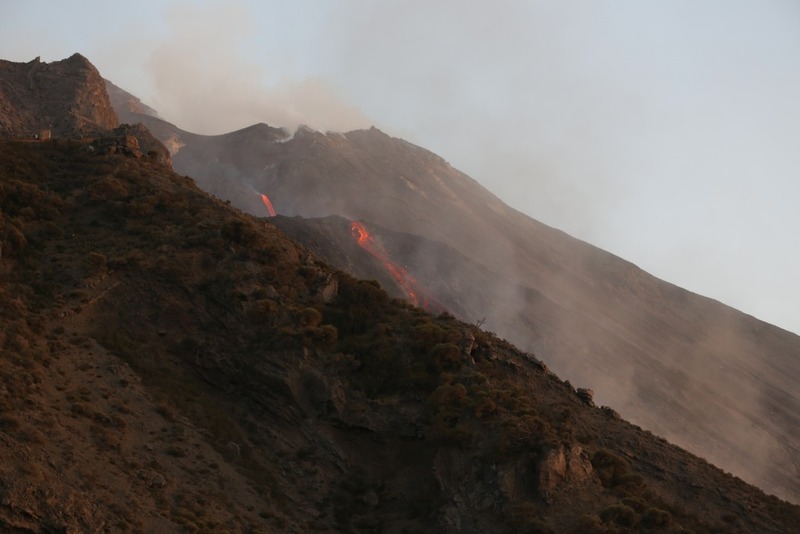 Even the Q 400 has been completely blocked and monitored by the police on Tuesday..
Strong rockfall from glowing lava and amass of ash dust coined the scenario of the Sciara during the day. 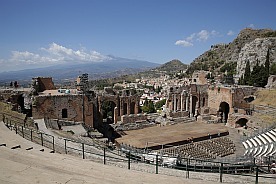 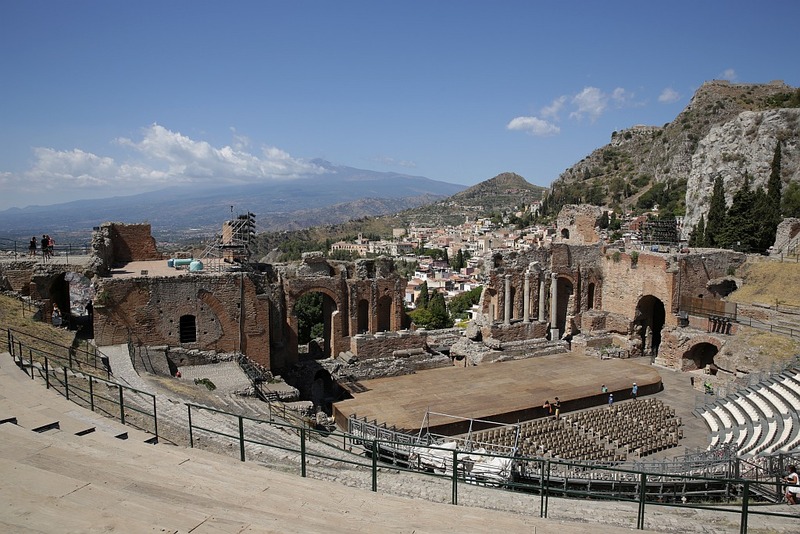 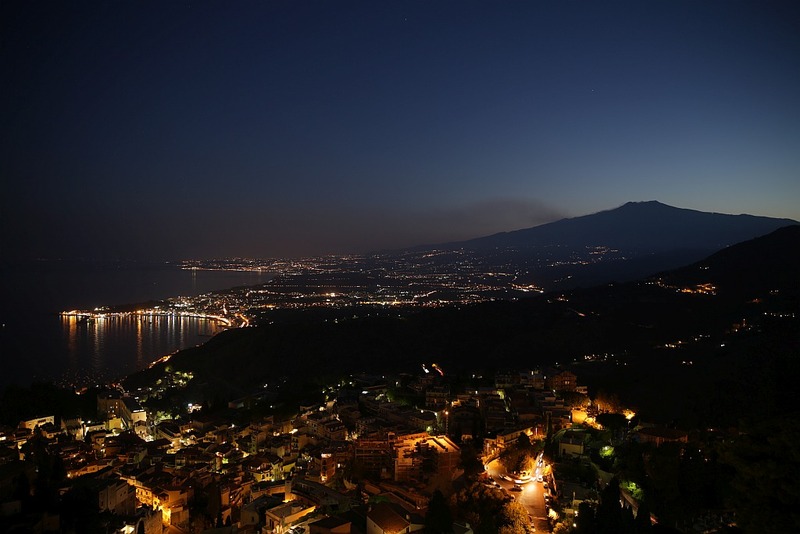 The old greek theatre and the view over Taormina to Etna volcano. 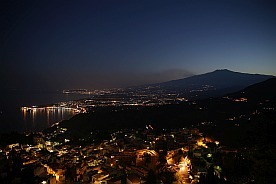 In the night to the 11th of August an apprx. 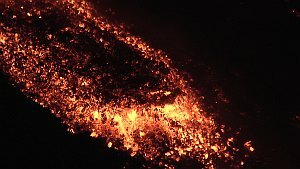 400m long lava flow was running down the SE-Crater complex and heralded the end of an nearly one month lasting active phase. 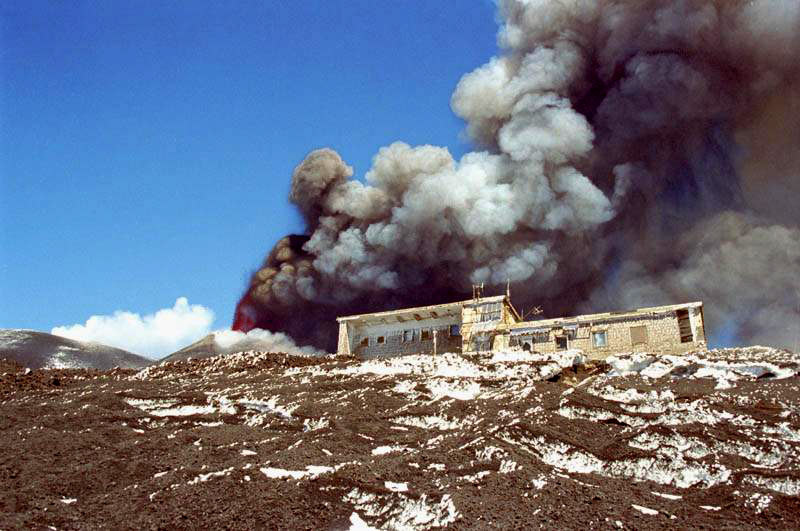 The Rifugio Torre del Filosofo in 2014 and April 2000. Who find the difference?